New version, better tuning, smaller footprint and all surface mount aside from trimmers and LED. 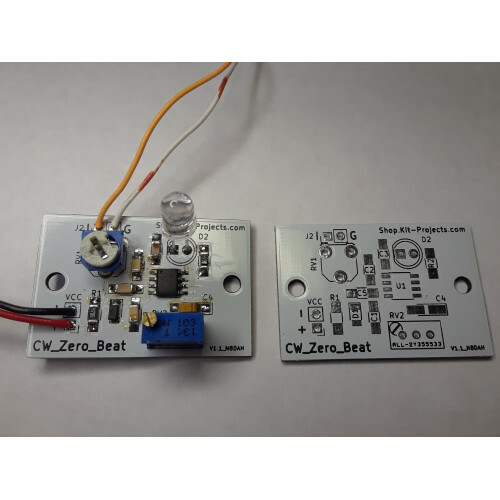 CW LED zero beat indicator, with tone and volume adjustment. Kit will include parts and placement location. 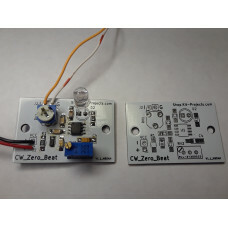 This kit will work from 9-12V but functions at its best 12-13.8V. 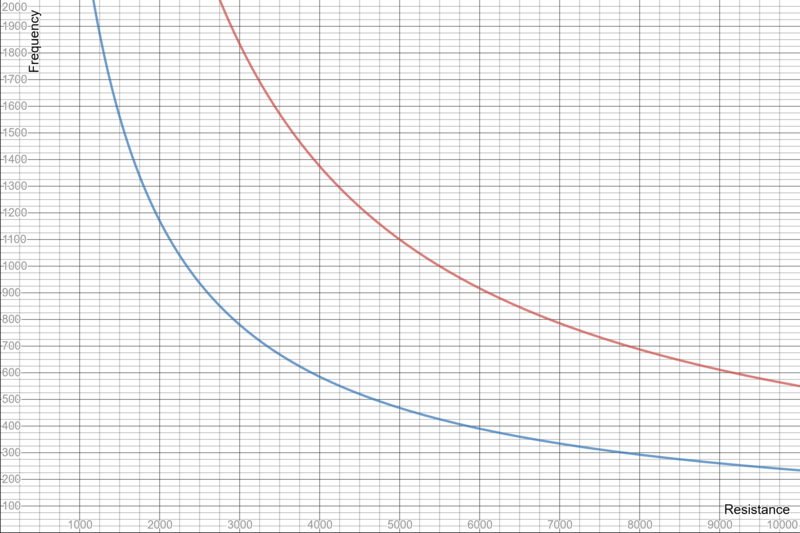 Blue is the new version, red is the old. We replaced the two .1uf with .47uf and 10k 1 turn with 25 turn for better tuning.